Aquafil, a leading supplier of synthetic fibres, has announced a unique partnership with Outerknown, a new menswear apparel brand founded by eleven times World Champion surfer Kelly Slater. The new brand incorporates Aquafil’s Econyl sustainable nylon created from reclaimed fishing nets and other nylon waste materials in its debut collection. According to a news release from Aquafil today, Outerknown was born out of Slater’s personal mission to create a clothing brand that seamlessly blends function and style, while establishing sustainable manufacturing processes across its supply chain. Outerknown’s first collection launched on July 15, 2015 and features the Evolution Series jackets and board shorts made with Econyl brand regenerated nylon yarns. Econyl is said to offer the same quality and performance as traditionally manufactured nylon but with incredible environmental benefits. The fibre is made from reclaimed waste and can be recycled an infinite number of times without any loss in quality, according to Aquafil. Econyl helps divert global waste streams from landfills and oceans through the recovery of abandoned fishing nets and other discarded nylon waste materials, the company adds. The recovered nylon waste is processed through Aquafil’s Econyl Regeneration System and the resulting yarn is shipped to Outerknown’s global supply chain where it is converted into the first-grade nylon textiles used in Outerknown’s Evolution Series. Outerknown will also be available at select premium retailers around the globe including Ron Herman, Mr Porter and Selfridges. According to Aquafil, the collaboration with Outerknown builds on its legacy and commitment to ocean and marine life preservation. The company says it continues to find new and resourceful ways to recover post-consumer nylon waste by engaging in various impactful global environmental programs, such as the Healthy Seas Initiative and Net-works. The programs aim to spread awareness of ocean conservation issues and protect marine life through recovery of abandoned fishing nets. According to the United Nations Environment Programme (UNEP) and the Food and Agriculture Organization (FAO), there are currently more than 640,000 tons of abandoned fishing nets in the oceans. These abandoned nets lead to the problem of “ghost fishing,” when derelict fishing nets remain adrift, capturing whales, turtles, birds and other marine animals. 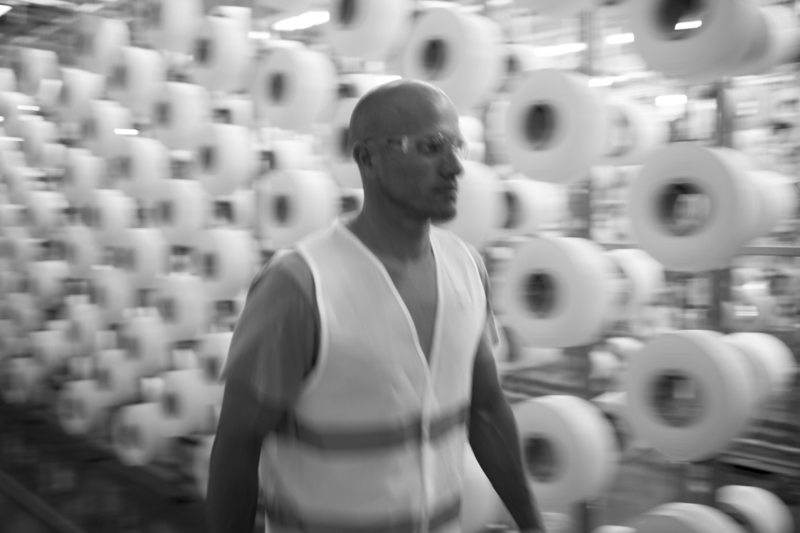 Since 1969, Aquafil has been one of the leading players, both in Italy and globally, in the production of polyamide 6. The Aquafil Group has a presence in eight countries on three continents, employing more than 2,400 staff at 15 plants located in Italy, Germany, Scotland, Slovenia, Croatia, the USA, Thailand and China.